An Introduction. Miss Cornforth: "Oh, very pleased to meet Mr, Ruskin, I'm sure." Beerbohm, Max. 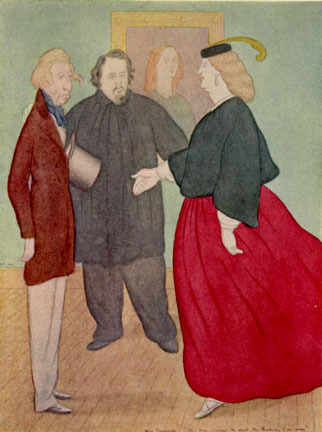 Rossetti and His Circle. London: William Heinemann, 1922.